Amazon keeps sending me emails saying "If you're looking for books similar to The Dream Thieves, you should check out x, y, and z." And I say, "why yes, I am looking for books similar to The Dream Thieves, and although I would be deeply shocked if they existed, I am definitely willing to give them a try." 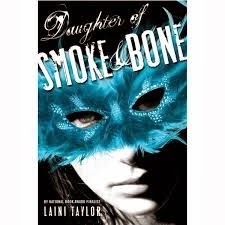 Now, it is entirely possible that Daughter of Smoke and Bone suffered from being the book I read after The Dream Thieves. 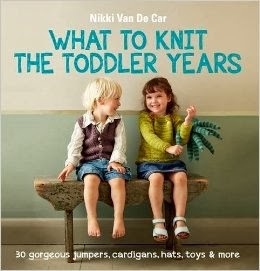 Most books would. 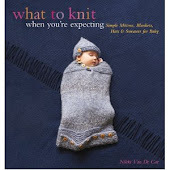 But please note that I didn't just take Amazon's word for it--this book got a starred review from just about everyone in the world (by which I mean reviewing magazines, not Amazon reviewers, though I listen to them too). So I thought eh, I'll give it a whirl. First of all, not at all similar to The Dream Thieves. Unless you count the fact that they are both, you know, books. Do you all remember, was it ten years ago, when the world went crazy for Prague? I have never been to Prague, mind you, but being the reactionary sort of person that I am, I decided I hated Prague because I was so sick of hearing about it. Well, Laini Taylor seems to have gone in the other direction, perhaps because she's actually been to Prague. And to be fair, her description of it sounded pretty great, apart from the cheesy bar that Karou, the main character, frequented. Of course, Karou was fairly cheesy. Blue hair? An artist? Loves her friend but can't tell her anything? It's all kind of ten years ago. But the book picked up when Karou went home--to her chimera family, who, fittingly enough, are each made up of different parts of different animals (like griffins, centaurs, Pan, etc.) So that's weird and different, because Karou is human. And even more weird, Karou's father figure (though clearly not her actual father, since he is a chimera and she is not) collects teeth. And he takes his collection very seriously. And he doles out wishes in exchange for particularly good teeth--like if you pull out all your own, he'll give you a really good wish. And then there's an angel, and the angel and Karou have some unexplained deep connection, which frankly I find kind of boring, because I really like it when the connections are based on something; Recognition, a la Elfquest, is just a lazy way to go, though I remember finding it all very romantic when I was a teenager, so I'm willing to let it slide. Okay, so up to this point, the book is decent. Not great, not worth all those stars, but I didn't hate it or anything. If it sounds intriguing to you, dear reader, please stop reading and go check it out, because I'm about to give the rest of the book away (it came out two years ago, so I don't feel too badly about that). Now the book goes off the rails. The unexplained deep connection gets explained, which is refreshing, except it doesn't really: Karou has been reincarnated (that's what all those teeth are for, they are handy for reincarnation. Just go with it), and before she died she was a chimera, and she and the angel had an unexplained deep connection then, too (see what I mean about the deep connection being explained, except not really). And we have chapter after chapter of this other version of Karou, who even has a different name (Madrigal) and looks totally different, and frankly is totally different in every possible way. We don't care about Madrigal, we don't even know Madrigal, and even though we're told she and Karou are the same person, that doesn't ring emotionally true, so it just feels like we're reading about the angel hooking up with some old girlfriend. It's all very strange. So yeah. Not my favorite.